Our yearly dental clinics really are life changing. In the region where Shanta works, it is not uncommon for adults to suffer significant tooth loss and painful gum infections. By the time they’re 50, few have any teeth left. At our annual dental clinics, children from our partner villages receive early oral hygeine education, cleanings and treatment, for a brighter future with less pain and fewer health concerns. In 2016, 649 children and 133 adults from ten villages received treatment and education, and all 782 clinic attendees were given a toothbrush and toothpaste for continued care. 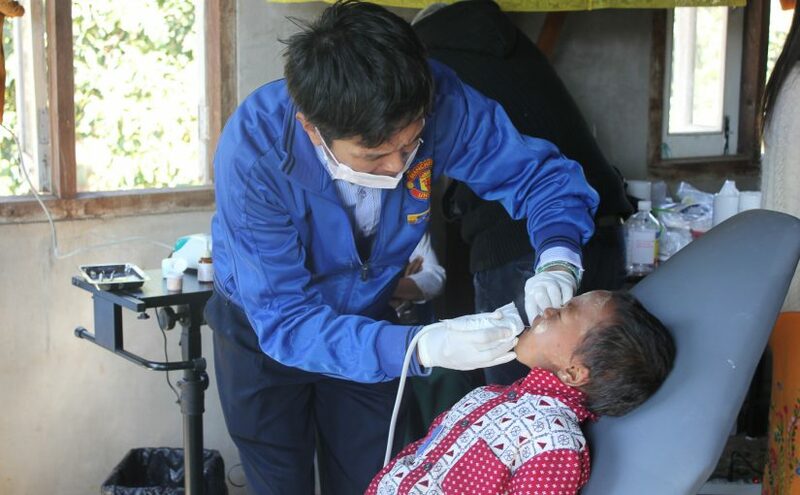 The volunteer dentists tell us they notice a significant difference in the oral health of returning villagers, especially compared to first-time attendees. Take, for example, the two-day clinic in Tij Jyit where dentists said children needed extensive care, cleaning, and education. This was the first dental care these villagers had ever received. But children from the neighboring Taunggyi Township, where we’ve held clinics for the past five years, have strong teeth and better hygiene. Their previous fillings are still in good condition, and they needed less care and treatment than in previous years. The lasting impact on the lives of village children is just one of the reasons why dentists say they respect Shanta and are inspired to work with us. We are preparing to almost double our reach and hold two clinics later this year reaching almost 1300 children and adults!